The Central Region in south Ghana is renowned for its elite higher education institutions and an economy based on an abundance of industrial minerals. The region is a hub of education in Ghana, with some of the best schools in the country. 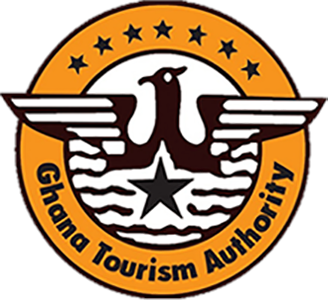 Whiles the area’s economy is dominated by mining and fishing, the Central Region is also a major centre of tourism in southern Ghana. And with some of the country’s most beautiful coasts and national parks, it’s not hard to see why. The region is famous for its palm-fringed beaches, fascinating fishing villages, historical towns and rich natural attractions. It is also the former government centre of the Gold Coast. Winneba beach, 45 minutes west of Accra, and Brenu beach, close to Sekondi Takoradi, are two of the best kept and most delightful beaches in Ghana. The seaside, with its tranquil atmosphere and delightful views of the Gulf of Guinea, is a perfect place for visitors to relax. The local coastline is also famous for its ancient forts and castles, built by early European traders. Three of them – Cape Coast Castle, Elmina Castle and Fort St Jago are Unesco World Heritage Sites. Other forts that serve as a strong reminder of the depth of Ghana’s heritage are Fort Good Hope, Fort Patience, Fort Amsterdam and Fort William. Much of Ghana’s history and modern-day culture has been formed by the slave trade, and this is no different in the Central Region. The region contains some powerful reminders of that era, including the slave route site at Assin Praso and Assin Manso. Other historical towns worth a visit are Winneba (traditionally known as Simpa), Kromantse/Abanze, Duakwa and Mensa Krom, home to some of the region’s best wood carvers. Another favourite tourist destination is the craft village of Ajumako, where carvers specialise in royal regalia, stools, linguist staffs and clan totems. Regional culture is on show at various festivals held throughout the year. Among the best known are the Bakatue Festival, symbolic of the beginning of the fishing season, and the Edina Buronya. Buronya, meaning ‘festival’, is a native version of Christmas celebrated by the people of Elmina on the first Thursday of the New Year. The Aboakyer Festival is held by the chiefs and people of Winneba on the first Saturday in May, while the Fetu Afahye, featuring a durbar of chiefs, is held by the people of Cape Coast on the first Saturday of September. Another renowned festival is Odambea, in Saltpond, on the last Saturday in August, reflecting the migration of local people centuries ago. Whether you’re searching for historical links and roots, looking to explore an alternative culture or you prefer to relax on a sun-dappled beach, the Central Region must not be missed. Kakum National park, a 375 sq km area tropical rainforest 39 km north of Cape Coast, Is the most accessible and foremost nature reserved in southern Ghana. Established as a reserved in 1931, it was declared a national park only in 1992 after an initial survey of avifauna. A unique feature of the park is that it was established on the initiative of local people and not by the state department of wildlife. Almost untouched virgin rainforest has been preserved as a habitat for birds, butterflies and rare animals. The most notable endangered species are the Diana Monkey, giant bongo antelope, yellow-backed duiker and elephant.